Many dream of travelling the world but few of us give ourselves the chance to do it. It’s easy to fall into a nuclear existence- we finish school, get a job, start a family, and forget about those dreams we had to explore the planet. “Backpackers” make a commitment usually in their early adult years to see the places on their bucket list and make time to travel before, during, or after their education and even as they continue into full time jobs. Regardless of your age and stage in life you can always make time to travel– and you don’t actually need to carry your belongings in a backpack! This idea of straying far from home and experiencing other cultures can be scary for young people, especially in places without the creature comforts of home. Starting your journey at the right youth hostel can make or break your decision to continue as a world traveller. 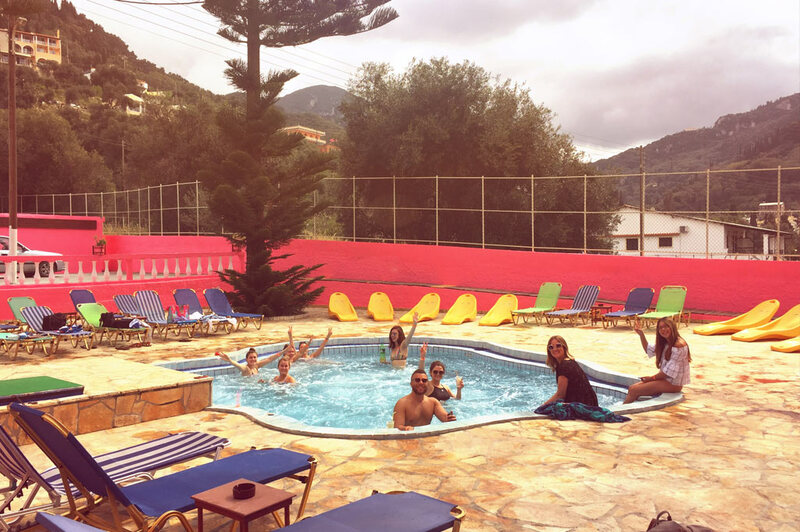 When you stay at The Pink Palace in Corfu, Greece, you are part of a community allowing guests to get involved as much or as little as they like. 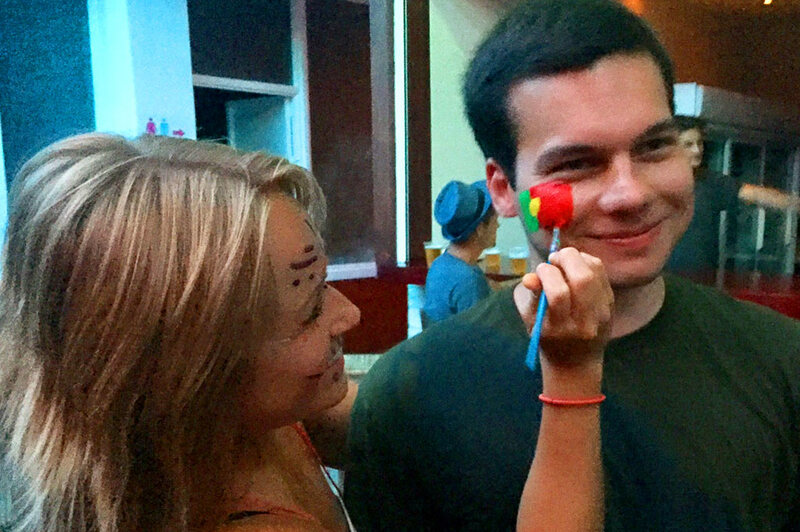 We offer the true hostel experience with dorm-style accommodation to room with new people if you’re travelling solo. Alternatively, we have private rooms available if you come with a group or enjoy your solidarity. You’ll quickly meet the Activities Staff- the outgoing bunch who run the daily activities and nightly entertainment. Each morning we greet you at breakfast and give you the scoop on what activities we are doing that day. 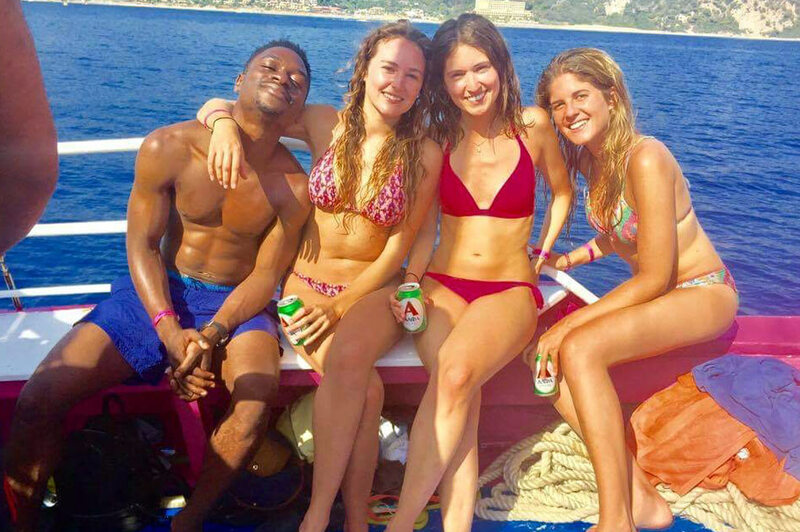 Quad Biking, Kayaking, the Booze Cruise or maybe the Corfu Town Tour; every day we run exciting excursions. If you choose to hang out on the resort, our friendly staff are happy to answer questions, set up some games, or host “Icebreaker Hours” to get some entertaining conversation going. 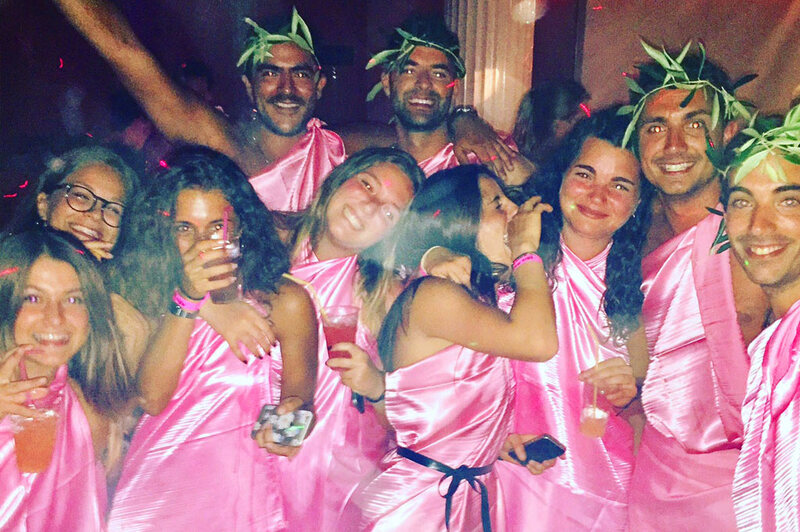 We’re famous for our Toga Parties where you’ll witness authentic Greek dancing and our own unique show! On other nights we host one-of-a-kind theme parties such as “Caesar vs. Achilles Party” (aka. Italy vs. Greece- choose a side! ), “Some sort of Spanish Party”, or “Travel Tales”, to name a few. At meal times you’ll feel right at home. In addition to a daily cooked buffet breakfast we serve family-style dinners each night in The Palladium Dining Room. We encourage our guests to get involved during their stay; when you travel you have to be comfortable meeting people along the road. If you’re a bit shy our staff will help you get acquainted and find your niche when you stay at The Palace. When you want to relax, our beautiful beach-side property offers plenty of space to chill-out. Whether you’re new to ‘backpacking’ or a well-seasoned traveller, The Pink Palace is a favourite stop for all! Allow us to introduce you to the Greek island of Corfu and the beauty of Agios Gordios. We can’t wait to be a part of your adventure!